This website will have the result articles from the 3rd & 4th Qualifying Finals on Monday (which incorporate the in game tweets), but until they get uploaded here are the results for Week One of the NRL Finals Series of 2009. Here is a Video Review of the Qualifying Finals which also takes a quick look at the Elimination Finals matchups. QF1: Melbourne Storm 40 def. Manly-Warringah Sea Eagles 12 QF2: Brisbane Broncos 40 def. Gold Coast Titans 32 QF3: Bulldogs 26 def. Newcastle Knights 12 QF4: Parramatta Eels 25 def. St.George-Illawarra 12 What does it mean? Manly despite finishing 5th have been eliminated alongside the 7th seeded Knights for being the two lowest ranked losers in Week One. Yes the 2008 Premiers have been dusted in the opening week of the 2009 Finals. 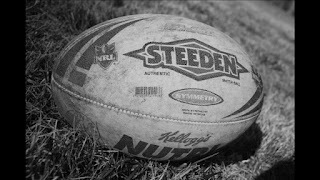 The 2nd seed Bulldogs and 4th seed Storm go straight into the Preliminary Finals, while the Titans, Broncos, Eels and Dragons will play in Week Two. Here are the Elimination Finals Matchups: Friday 18 September 2009 EF1: Parramatta Eels v Gold Coast Titans @ Sydney Football Stadium Saturday 19 September 2009 EF2: Brisbane Broncos v St.George-Illawarra Dragons @ Suncorp Stadium The winner of Friday's game will play the Bulldogs, while Saturday's victor faces the Storm. In the Toyota Cup, the Canberra Raiders pulled off a similar miracle to the NRL Eels - beating the Minor Premiers Manly in an extra time thriller. The Warriors and Rabbitohs were eliminated, the Dragons and Warriors get a week off, leaving the Raiders, Sea Eagles, Broncos and Tigers to fight out the Elimination Finals. Canberra play the Tigers on Friday and Brisbane take on the Sea Eagles. Check out wdnicolson.blogspot.com or the NRL Finals 2009 Tweet for more information!